How do I sell my junk car for cash in Long Island? 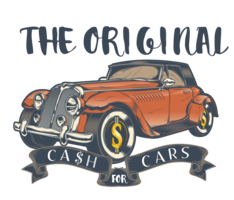 You contact us—The Original Cash For Cars. We buy junk cars for cash in the Long Island area. We buy any make, model, or condition, running or not. Why not get the most money for your car? We have over 50 years of experience in the retail and wholesale automobile market on Long Island. We use this knowledge to ensure you get the most money for your car. Please fill out our easy form on this and every page of our website or call 631-464-0404 today. We pay more cash for junk cars in Long Island than any of our competitors. The Original Cash For Cars has made the process easy, fast and reliable for the residents of Long Island. Just give us a call and get cash for your junk cars. However, you can also fill out the easy form on this and every page of our website to get your FREE QUOTE! Cars For Cash also pays more than other competing scrap car buyers will. Be it a late model, station cars, junk cars, trucks, vans, or an SUV, all vehicles are purchased by trained appraisers on the spot and for cold, hard CASH! It doesn’t matter if your vehicle is running or not, WE WILL PAY TOP DOLLAR! Don’t wait another second, fill out the easy form now or call us at 631-464-0404 to get your FREE QUOTE! Finally, the time has come to junk old reliable. Make the call. After all you’ll be recycling Ol’ Betsy. Friendly appraisers arrive on time and will remove your old vehicle in a timely fashion. There is never any charge for towing away your old vehicle. Furthermore, courteous staff will always respect your property and be quick when going about their business. We know it took a while for you to arrive at this decision and that it wasn’t easy. Because we know people get attached to their vehicles, our promise is to treat your old vehicle with respect. UNTIL IT GETS TO THE CRUSHER!!! !